The vast majority of people that are charged with a crime have no knowledge of the law or the court procedures, therefore they are appointed an attorney- paid for by the same people seeking to convict you. In most instances, these court appointed attorneys are given a flat rate payment, have a case load of paying clients and no incentive to fight for their court appointed clients. In fact they persuade most clients to plead guilty regardless of the evidence. However, that is not the worst part, as once a person is convicted and sent to prison, they have absolutely no counsel. You become your own attorney and you are expected to know the law, court procedures, time limitations and the protocol for writing legal documents. It is documented that a person’s lack of knowledge and skills in Court Proceedings is no excuse. It’s odd that these people really expect a common person to know and understand the law when it takes lawyers, judges, district attorneys, and etc. 6 to 8 years of school to learn the basics of the law. As, even after they complete school many still don’t know enough to be successful in their practice- it takes experience in the court room to actually be competent enough to be labeled successful at it. So how in the Hell can it logically be expected of everyday Men, Women and Children – many without a high school education – know what it takes to win in a court room? By the time he/she learns enough to defend themself and understand the level of comprehension it takes to be successful in most cases, it’s too late due to deadlines to file a proper petition. A lawyer is supposedly appointed to represent you in order to defend or protect your rights but really they are appointed to keep you in the blind to the evil plot the judicial system is laying out against you and your life. I speak from first hand observations and experience, as I’m a living witness to how it works. The actions or lack of proper actions by my -and thousands of others- Court Appointed Attorney contributed to my Wrongful Conviction. Then continued improper actions lead to myself-and thousands of others- being Procedurally Barred from adequate Appellate Reviews. This is a sad and tragic reality for far to many people- Tricked into a Slave System then expected to know how to correct it, in a set limit of time. We can sit back and allow it to continue or We can Organize then create OUTREACH STREET LAW / LIFE SKILLS PROGRAMS in our Communities. With an Educational Curriculum that teaches Our Children the laws and procedures before they come into contact with the Legal System-As statistics verify that millions of them will in their lifetime. 2. What is the Law? This is just a suggested curriculum, based on HALIFAX COUNTY (Where I learned and observed the results). If you choose to accept or follow this curriculum or not– we NEED Men and Women, in our Community, with the knowledge and skills to create some kind of programs that counter the IGNORANCE OF THE LAW Set Up. KNOWLEDGE is the only remedy to this Systems IGNORANCE OF THE LAW. .IS NO EXCUSE sickness. DOC tries to address crowding in Bold letters Montgomery Advertiser January 3, 2012. After reading this story, I obtained a copy of the lawsuit filed in California and if the same was filed in Alabama, this state could be faced with the same. However, here in Alabama, the problem is a lot deeper. One of the biggest reason why Alabama’s prison system is so badly over crowded is because of the way they classify violent and non-violent offenders. It was over five years ago that the above mentioned story was done and it has truly gotten worst. 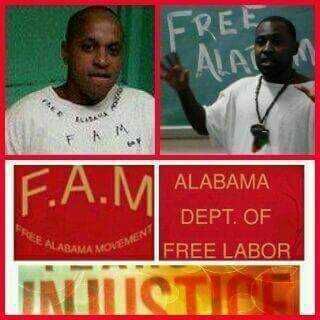 Here in the state of Alabama whenever you hear something about inmates being released its always said that it will be the non-violent offenders; the drug and property offenders, however, there are thousands of inmates in the ADOC that’s classified as violent offenders whose not actually violent at all. Threatens the imminent use of force against the person of the owner or any person present with the intent to compel acquiescence to the taking of or escaping with the property. This is a Class C Felony, sentencing range 1 yr and a 1 day to ten (10) years. This is a crime involving no weapon and nowhere in the language of the crime’s elements does it mention violence. Yet, here in the state of Alabama, it’s considered a violent case. They say it’s the threat of violence, but the naked truth in any crime has the potential to become violent. A shoplifter steals a pack of candy and is approached by security, it can instantly become violent if the shoplifter: (A) Fights (B) Pulls a weapon or (C) If it’s the security guard that fights, overreacts and uses a weapon. Another perfect example, Friday, February 3, 2012 in The Enterprise Ledger, a man was shot by someone breaking into his car; Theft turned Violent. What do you think, should a person be considered a violent offender if he has never injured anyone, Or if he’s never been convicted of a crime where a weapon was used? 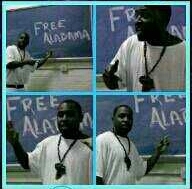 Deep rooted flaws in the Alabama Prison System is why our system is screwed. Community Work Center – Minimum out Inmates. These Inmates are allowed to work in society. They wear white state issued clothes and they work City Sanitations, Police Departments, Senior Centers, Colleges, Parks and Recreation and the Road Crews. The State (DOC) is given $1500 per day per inmate and the inmate is given $200 per day. These inmates are those convicted of many crimes to include manslaughter. Some can go to work release and some can’t. These Inmates are allowed to work in society on private jobs and wear their own clothes. They can take passes home. These Inmates are convicted of many crimes to include: Assault, Robbery First with a weapon or injury. The State gets most of their money. On December 12, 2012, I ended a (25) year sentence for Theft of Property and began on Life for Robbery Third. It took me nearly 23 years to make it to a community work center in May, 2010. For over two years, I’ve worked in the kitchen as the Baker and Store Room Clerk. After arriving at my present facility I’ve worked for the sanitation and parks and recreation and I never had a problem on my job. I am barred from Work Release. Nowhere in the Language of Robbery 3rd does it states threat of a weapon, but because of the original charge of Robbery 1st DOC says it’s violent. I was not convicted for a crime in the court but I am serving time for what I wasn’t convicted for. The difference between in an Inmate in Work Release and myself is the dress code, I wear white and he wears street clothes. He works and gets paid by the hour; I get $30 to $40 added to my account each month to be spent back to DOC and he gets passes home, I don’t. I have served nearly 30 years in prison and I am not alone. Whenever I go up for parole they insure that a protestor is present, when is Enough! Is Enough! This a deep rooted problem and it’s time for a change.